The +1 option is getting a lot of buzz these days. Everyone wants to know how to best exploit the feature to get more traffic. First of all, let me debunk a common myth. The +1 button does not affect your Google rank. Many people seem to think that getting a lot of +1s will boost their rank, but this won’t happen. That’s not what the button is for. The +1 button allows you to share a link to your stream on Google+. What this does is get the link more exposure through the Google+ network, but not on the Google search engine itself. The +1 feature is an incredibly useful feature of Google+. It works similarly to the “Like” feature of Facebook, allowing other users to share links. Obviously, the more people who +1 a particular link, the more exposure it will receive. Thus, it’s important to make it as easy as possible for people to +1 your content. First, you will want to +1 your own content. Some of the people who see your post may also add a +1 to it, thus automatically getting the link some additional exposure to their contacts. 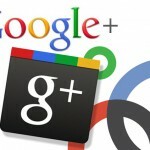 Google exposure is always a good thing, and you can be sure that Google+ pages will almost always rank well in Google. It’s a given. It’s not a guaranteed way to end up on the first page of Google for a specific keyword, but it’s definitely a good way to get your name into Google! 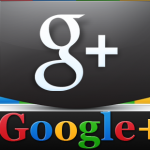 If you want to make the most out of this fact, you need to set up your Google+ account for maximum exposure. This means making your profile visible to the search engines and adding keywords, as well as setting up your page to appear appealing in the listings. The headline you use on your profile page is crucial.